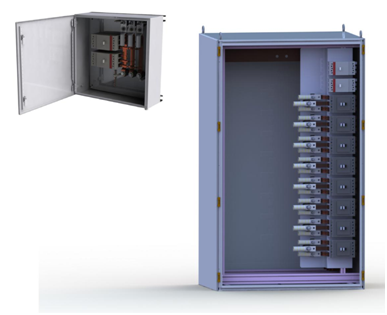 ConnectPV AC Combiner products are based on a core product architecture optimized for utility and commercialscale solar projects, simplifying design and specification. Options and accessories allow the designer to optimize the products for each project – reducing installation labor costs. The following Combiners and Recombiners have beenoptimized for use with ABB PVS-175-TL inverters. ConnectPV products incorporate “best-in-class” components combined with rugged mechanical designs to maximizereliability over the projected life of the project. Circuit breaker based products are fitted with efficient, passive air cooling enclosure accessories to reduce internal temperature rise.